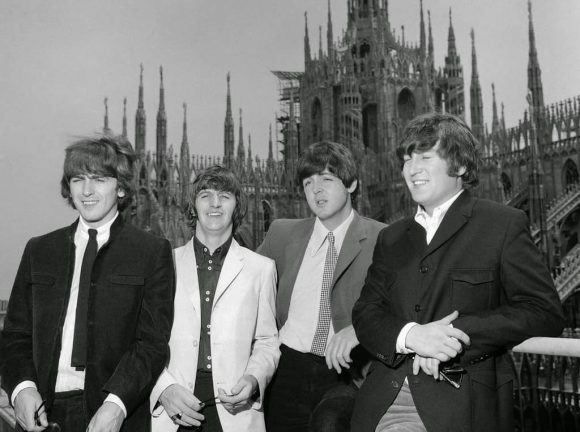 During their career The Beatles performed eight concerts in Italy, over four days during their European Tour in the summer of 1965. The first of these took place at the Velodromo Vigorelli in Milan. The group performed two shows on this date, at 4.30pm and 9.30pm. The velodrome seated 22,000 people, although neither of the concerts was a sell-out: the afternoon performance was seen by 7,000, and the evening concert attracted 20,000. The poor showing in the afternoon was blamed by Brian Epstein on the fact that many Beatles fans would have been in school or work. Local press reports suggested high ticket prices and hot weather may have also been contributory factors. During both shows The Beatles performed 12 songs: Twist And Shout, She's A Woman, I'm A Loser, Can't Buy Me Love, Baby's In Black, I Wanna Be Your Man, A Hard Day's Night, Everybody's Trying To Be My Baby, Rock And Roll Music, I Feel Fine, Ticket To Ride and Long Tall Sally. I have a 33RPM; but pressed on a 7” single : called : Live in Italy with a black and white photo of The Beatles (Paul wearing a hat). With the following numbers on it : Twist and shout/She’s a woman/I’m a loser (partial).This is the B-side. On the A-side there’s an interview on Italian TV june 1965. The text of the interview is written on the backside of the cover. The label is yellow but doesn’t has any number or record company. Only there’s ITA 128A and ITA 128B. Does anyone know where this come from?